We went out for dim sum today, and I feel as lazy as a bee hanging on the goldenrod with a faceful of flower. This is a Carpenter bee, and you know it’s a male because of the light spot on his face. He was so sleepy, I could move the goldenrod to an easier reach and put the camera right in his face. And yes, bees sleep. Honeybees sleep in their hive. With most native bees, the females sleep in their nests and the males find a safe place to spend the night. 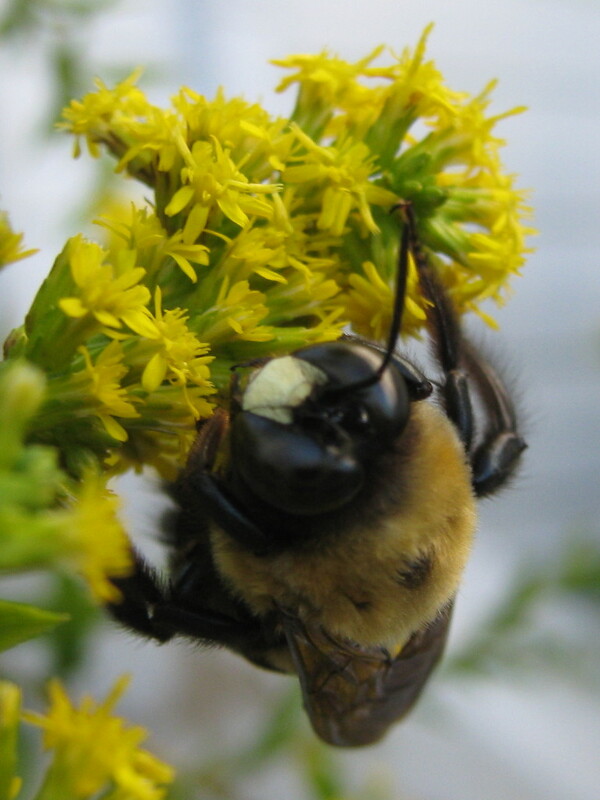 I say most, because I have bumblebees sleeping away from the nest, including on the goldenrod, right next to the Carpenter bee.